Tina Bird is a Partner in the Real Estate Practice Group and her practice is nationwide, including contract drafting and negotiation, arbitrations, civil trials, mediations, claim preparation and mid-project analysis. Tina represents material suppliers, subcontractors, contractors, construction managers, design-builders, architects, owners and sureties in every aspect of their business. 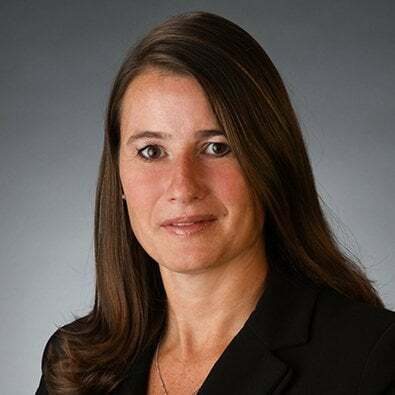 Before joining Freeborn, Tina was a Partner at Clark Hill PLC in the Firm's Construction, Business and Corporate Transactions, Litigation and Real Estate departments. Moderator, "Chicago Construction & Development 2018: Megadevelopments Challenging the Status Quo" Bisnow (May 2, 2018). "Illinois Mechanics' Liens," Illinois Continuing Legal Education (September 2012, 2011 and February 2007). "Construction Concerns and Considerations for Higher Education," URMIA (University Risk Management and Insurance Association) (September 2012 and June 2011). "E-Discovery for Modern Day Business," (February and July 2006). "Change Orders in Illinois," Lorman Presentation (June 2005 and June 2006). "Illinois Mechanics' Liens," Half Moon LLC Presentation (September 2005). "Illinois Mechanics' Liens," Chicago Bar Association Seminar (December 2012, 2005 and 2004). Freeborn's Tina Bird will moderate the upcoming seminar. At this program, attendees will have access to the full Agenda, Speaker Biographies, Course Handbook, and Presentation Materials, as well as the ability to network with fellow attendees electronically.